Generally I love choosing, making and giving gifts but I have to admit there is one person I dread finding something for. I think we probably all have someone like this in our lives and, while I generally hate this kind of gender distinction empirical evidence suggests this is often a father or brother. In my case it's my husband, D. He is almost impossible to buy for because (a) he already has everything he is interested in, (b) he's particular about the things he likes and (c) he doesn't have the same appreciation for handmade things that I have. It makes it very difficult to choose what to give him. If you have someone like this in your life, I have put together a small selection of 'tried and tested' things to inspire you. It needn't be a man, as only one of these isn't really unisex. 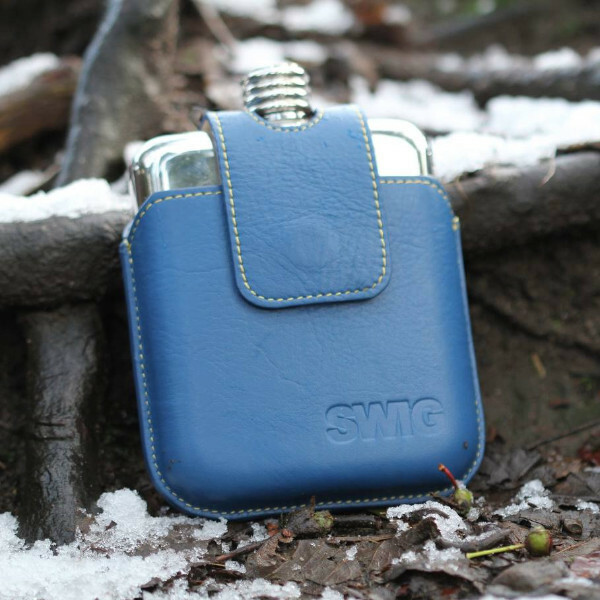 Hip flasks were not on my radar until I came across SWIG, who kindly offered to send one for me to try. It's not the type of thing I'd normally write about, so my recommending it here really says it all. After commandeering it, D has the 'Magnetic Executive Flask' which is a smooth and shiny (very tactile) stainless steel flask in a beautifully crafted blue leather pouch, compete with magnetic flap and card slot. As well as the flask and pouch, the package included membership of the "SWIG Society" - the unique number etched onto the flask means you can track and share your travels via social media, if you are so inclined. This is a really great present - it came beautifully packaged, and feels like a luxury item. I am sure that it will only get better with age, and indeed it comes with a lifetime guarantee. There are lots of colours and styles to choose from including "naked" flasks, some with Harris Tweed pouches and several designs made of leather. NB: At the time of writing, selected flasks are on sale and there is free UK delivery code when you sign up by email. Not only is this is a super product, but I like the story behind it too. SWIG was set up in 2013 by a young entrepreneur called David who won government funding to help with his business initiative (but only after selling his possessions - including his Xbox - to fund it). It's an amusing tale which you can read on the SWIG website. 2. Something for his whiskers! 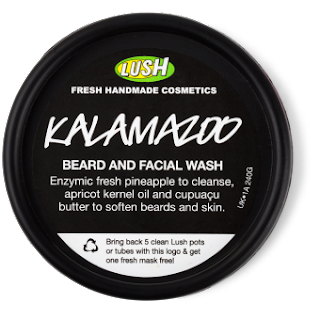 My furry faced man swears by Kalamazoo from Lush. He first got it as a gift, and he's been buying it himself since then, as he thinks it makes a massive difference to his beard and skin. It also stops our six year old from complaining about his kisses on her soft cheeks. If you prefer DIY gifts, how about making your own beard balm? This article from The Art of Manliness tells you all you need to know to make your own. Although this is a mass-produced item, I would definitely not call a Kindle eReader 'tat'. 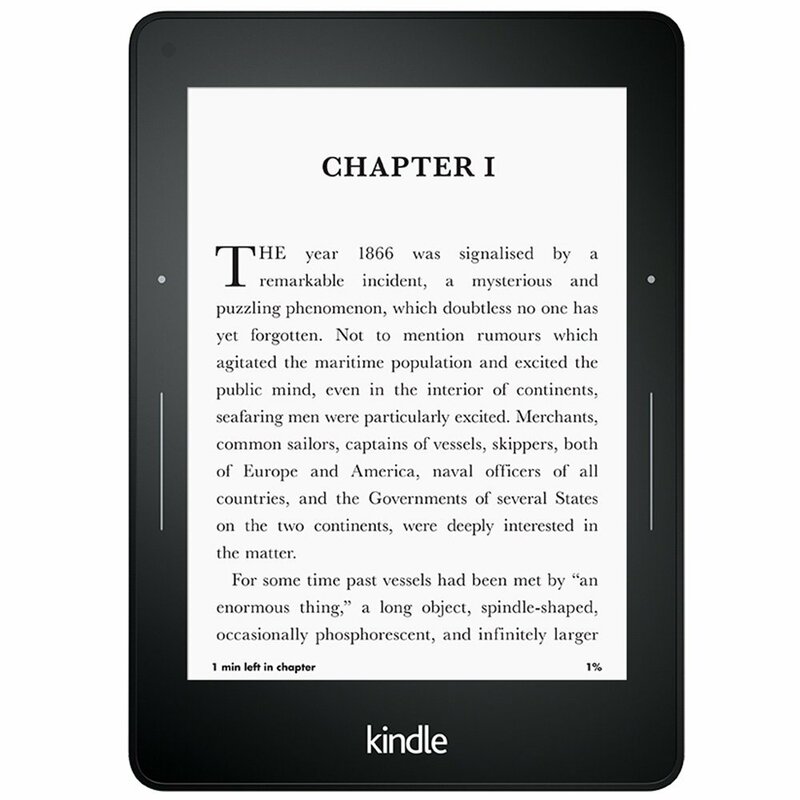 In fact a Kindle Voyage was my own present last year and it has been used every single day since then. It is officially one of my favourite things. Ever. There are various different devices to suit all budgets - you can find a comparison chart here to help you select one that might be right. As avid readers, we have three in our house and, using the family library feature, D and I are able to share the books that we're both interested in so it also means we can be reading the same book at the same time without needing two 'copies'. 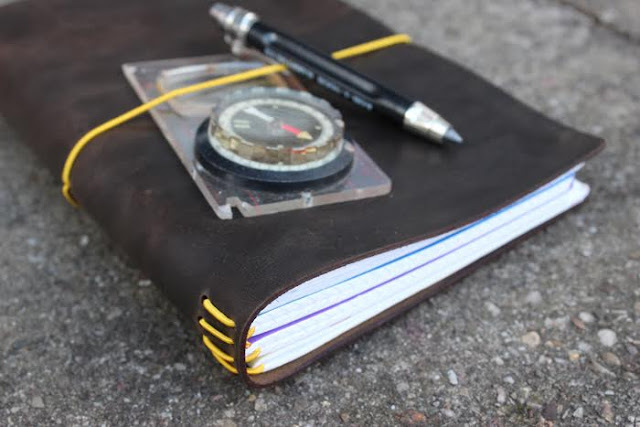 Regular readers will know that I'm a sucker for a nice journal and Sara at Yarn Tree Studio is making some beauties at the moment, which will appeal to the Indiana Jones in anyone. I have bought several different sizes from Sara, for myself and as gifts, and they are great. Each leather cover is handmade to your specifications with lots of options to choose from (sizes and colours) and the notebooks inside are interchangeable, so the cover will last for many years. You can find them listed on the Etsy store here. 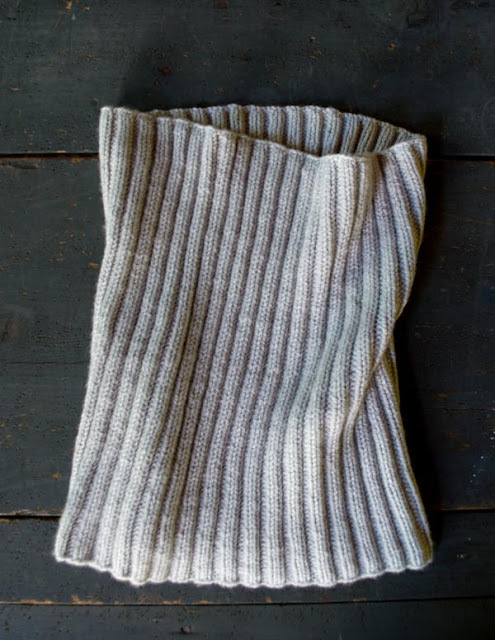 This Lovely Ribbed Cowl is a very simple free pattern from Purl Bee. It doesn't take too much meterage so it can be made to showcase a special yarn if you want to spoil your loved one without breaking the bank. If you want to use a different weight yarn from your stash, it would be easy to adjust the number of cast on stitches and rounds, so you might also be able to use a single skein you've been wondering what to do with. D finds his cowl to be really good for the winter commute - smaller and easier than a scarf and it doesn't take up much room in his bag, during the day. I hope this selection has given you some inspiration. 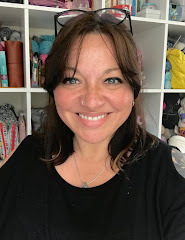 If you are still looking, check out my 'Impossible He' ideas page on Etsy, where I'm adding all sorts of handmade and vintage items. The next Festive Gift Guide instalment will be published soon, catch it by subscribing to the blog by email (in the sidebar) or follow the CftC Facebook page. 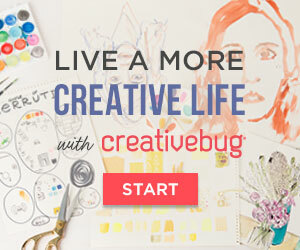 Images sources can be viewed directly by clicking the images. 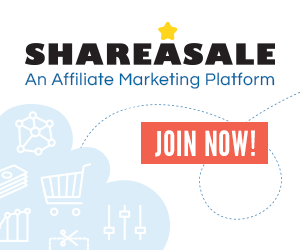 This post contains some affiliate links - more info here. Hahaha - yes, all those are things I would like too! :D Of all the people I asked (while researching what they'd like to see on the FGG), pretty much everyone had a tricky guy in their life and I really don't know why this is so. Glad you like the selection.